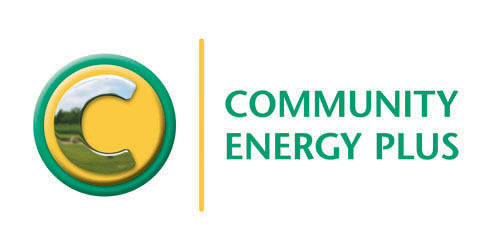 Community Energy Plus has been a leading sustainable energy specialist since 1998. We have a valuable combination of research skills and technical expertise, coupled with practical experience of delivering frontline services to consumers, community groups and businesses. We have particular expertise in energy efficiency, consumer engagement, energy policy, rural fuel poverty, community-owned renewable energy, collective buying clubs, hard-to-treat homes, park homes, planning policy, low carbon finance, smart energy, behaviour change, social value, low carbon skills, cross-sector partnership working, quality and environmental management systems, project development, project management and project evaluation. We utilise multiple research methods including online and postal surveys, telephone interviews, focus groups, consultation events, GIS mapping, action based research, remote monitoring and desk-based research (including access to academic research databases). To discuss your research and consultancy needs please contact Dionne Jones on 01872 245566. We are currently delivering this world first research project in partnership with PFA Research, Lydon marketing and Moore Consulting. The research aims to understand the environmental, economic and social impacts of Superfast Broadband roll-out. This research was commissioned by Cornwall Development Company to inform the Cornwall and Isles of Scilly Local Enterprise Partnership’s (LEP) funding priorities and strategies for enabling growth in the local LCEGS sector by improving skills. Evidence base – This details the background, history and current state of the LCEGS sector, market growth potential, occupational diversity, and skills requirements from a local and global perspective. It identifies which LCEGS sub-sectors are a priority for support in Cornwall and Isles of Scilly. A detailed analysis was drawn from the compilation of a bespoke sector database, online surveys, focus groups, telephone interviews and desk research. Skills Action Plan – The action plan sets the blueprint for the next ten years, outlining how the public sector should respond to the skills needs of the LCEGS sector in Cornwall and Isles of Scilly. Cornwall Development Company commissioned this research to establish market and investment baselines for the local smart energy systems sector and to explore cross-sector adoption of smart energy solutions. It also incorporates the smart-related findings from the above Skills Action Plan evidence base. National/ multinational smart stakeholders consulted included BEAMA, BT, Hitachi, IBM and Western Power Distribution. This private study explores opportunities to develop collective buying of wood fuels to offer domestic and commercial heat users across Cornwall and Devon, membership of a buying cub securing low cost, bulk purchases of quality wood fuel. It assesses wood fuel supply and bio-heat demand across Cornwall and Devon with a view to identifying under-developed supply volumes and gaps in routes to market. Community Energy Plus developed a Climate Change Mitigation and Adaptation Project Plan for communities living in the South-East coast of Cornwall. The project involved a literature review, stakeholder consultations, a community workshop, an online survey and a Community Assessment Tool to identify local needs and recommended actions for addressing climate change in the area. Community Energy Plus conducted national research on behalf of BERR, CLG, Defra and DfT to help government departments maximise cost effective opportunities for the enhanced alignment of national policies with local delivery of climate change mitigation and sustainable energy priorities. This strategy was commissioned by Carrick District Council and DCLG for a planned urban extension in Truro and Threemilestone after the area was awarded growth point status. It provides guidance on how the climate change impacts of the proposed new developments could be minimised through application of the energy hierarchy, spatial planning, sustainable building design, renewable energy and district energy. It covers the period up to 2026. This research commissioned by the Energy Efficiency Partnership for Homes assessed the need for and feasibility of establishing a fund to provide small grants to community groups to carry out non-capital energy efficiency projects. The South West Regional Development Agency (SWRDA) commissioned this project with the long term view of establishing a number of exemplar biomass installations in the region. CSE was the lead partner of a regional consortium. Community Energy Plus’s CSEP team devised screening criteria for biomass projects and a scoring system for the overall programme and led local stakeholder consultations and events in Cornwall. This study investigated the potential to set up a renewable energy manufacturing base within the Camborne, Pool and Redruth (CPR) area. It assessed whether the existing product and services skill sets of local businesses in the area could be transferred to the renewable manufacturing industry and identified which technologies would be most suited to being manufactured in the CPR area. This toolkit was created for use by social housing providers, including local authorities to aid with the retrofitting of renewables and energy saving measures into existing homes, with a particular focus on ‘Hard to Treat’ dwellings. Community Energy Plus created the award-winning Cornwall Sustainable Energy Partnership in 2001 when over 40 organisations signed the Action Plan for Energy Partnerships. The Action Plan was developed in partnership and involved an extensive cross-sector consultation exercise. Community Energy Plus established thematic tasks groups as a tool for engaging with and involving the sector in delivery of the actions in the Action Plan for Energy Partnerships and the development of projects, events and policy responses. Community Energy Plus managed the partnership until its transfer to Cornwall Development Company in 2009. Click here for the European Best Practice Case Study.